The Wet Bar is now open at the Nautical Inn. 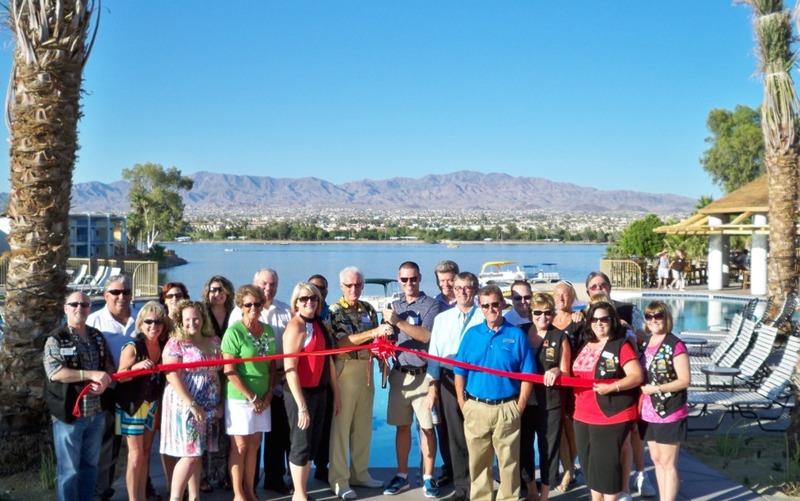 The Lake Havasu Area Chamber Ambassadors held a ribbon cutting to celebrate the new area at The Nautical Beachfront Resort. The pool was designed to appear as if it disappears into the horizon. On hand for the ribbon cutting were The Nautical Resort’s staff, city dignitaries as well as the Chamber Ambassadors. The Nautical Resort is located at 1000 McCulloch Blvd. N. on the island and can be reached by calling 855-2141.